OC Transpo’s Presto smart card payment system is being delayed again due to technical glitches, according to a local news channel. OC Transpo, operating bus transit services for the majority of Ottawa and Carleton, originally anticipated a complete smart card launch in February but says this won’t happen, with months of delays likely ahead. Provincial transit agency Metrolinx will reimburse the city as much as $7 million for the delay, in addition to a $3 million rebate. And the city would have the option to get all of its $25 million investment back should the system not be ready by June 1, according to transit committee chair Diane Deans. 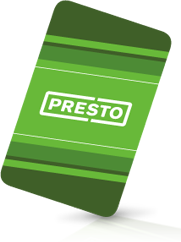 The Presto smartcard payment system was originally supposed to launch in July 2012, however, widespread technical glitches with the pilot testing program caused that launch to be delayed.